Then: “I was in my 20s. I did several Hamptons covers in the 90s—1993, ’95 (below), ’97, and many stories and photographs over the years. [It was] always fun because we were spending time in the Hamptons. It also meant it was summertime! Never very serious, but it always felt important to be part of the Hamptons family. Seeing the cover was always an important moment. Then: “I believe I was 26 or 27 for my first Hamptons cover (below, in 2002). My daughter Ming Lee was 1 year old, and I was pregnant with my second daughter, Aoki Lee, during the shoot. I’ll never forget how excited I was to be on the cover. It’s always a little bit of a challenge to shoot while you’re pregnant, but the creative team on set made sure I had everything I needed. They were great at keeping the energy up. Now: “I’ve launched a number of brands and branched out more into television. I’ve also pivoted into the venture capital space with a portfolio of companies in the fashion and beauty spaces that I run and manage. We’ve recently branched out into tech and nutrition, as well. 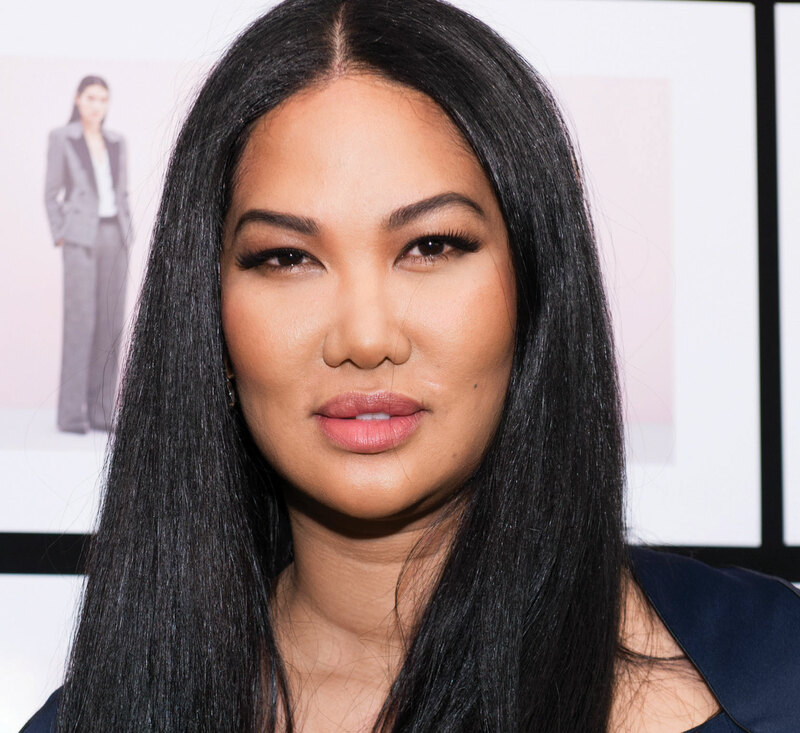 I have the Kimora Lee Simmons brand—a designer line available at Bloomingdale’s and Lord & Taylor, as well as a great network of specialty stores. Then: “My first cover was in 1991, so I was 21 years old. The shoots happened relatively early in my career and I have been lucky to have a pretty good one. The Hamptons covers gave me great exposure. I went on to be a Victoria’s Secret Angel and had the honor of gracing the cover of Sports Illustrated. It was a very busy time in my life, often shooting two jobs in a day, working with some of the best people in the industry from photographers to hair and makeup artists and stylists. Then: “I was 23 when I modeled for my first Hamptons cover in 1999. I was just super happy to do my first cover for [the magazine]. I was spending summer in the Hamptons for the first time and taking in what it really meant. “I loved the shoot I did with the horses (below, in 2000). That was my favorite because of how much I love riding. The shoot in 2001 was right after having [my daughter] Maia, and all I could think of was looking skinny. I look at it now and think how crazy I was! Modeling does play tricks on your perception of yourself. Now: “So much has changed. I’m an established actress. I’m the founder of Taya Beauty, currently sold at QVC worldwide. It’s a wonderful brand influenced by Amazonian traditions and ingredients from my indigenous communities and secret recipes from my family. I’m also a UNESCO ambassador, and my foundation, the Wayúu Taya Foundation, currently serves over 3,500 indigenous children and women, respecting their culture and beliefs in South America. I also wrote a popular book called Straight Walk, with the purpose of inspiring people to live their truth.